As Internet of Things (IoT) is rapidly picking up its market share and generating interest in the developer community, it is also posing challenges for developers to write and maintain backend with new set of constraints. These IoT devices also need to be accompanied with mobile apps to control and administrate them. At ShepHertz, we are committed to solve these challenges for our community and strive to make it simple and intuitive. 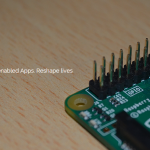 Today, we are excited to announce our new App42 IoT SDK for Raspberry Pi platform. This SDK will enable connected devices running with Raspberry Pi to use App42 backend APIs right from Storage to Push Notification to Analytics using light weighted APIs. You can make innovative things using IoT and can connect with App42 cloud in minutes using just a few lines of code.